Our July cover girl Lady Gaga rocks a daring face to go with her big attitude. Will you dare to try these 18 bold makeup picks? Set your boring old browns and nudes aside, just for now. Put down that demure pinkish brown lipstick, toss aside that clear lip gloss, and shelf that standard lip-and-cheek tint. It's time to take your cues from our bold, bombastic, absolutely fantastic cover girl, Lady Gaga. A fun, fearless femme for the books, Lady Gaga has never been afraid to experiment with makeup that's as big and bright as her colorful personality. She channels her artistic energy into her look, not just her music. You don't have to take it to her extremes, of course, but there's no denying that experimenting with color can be a lot of fun—and beautiful to boot! You also have this month's Daring theme as a fab excuse. So, do you dare? 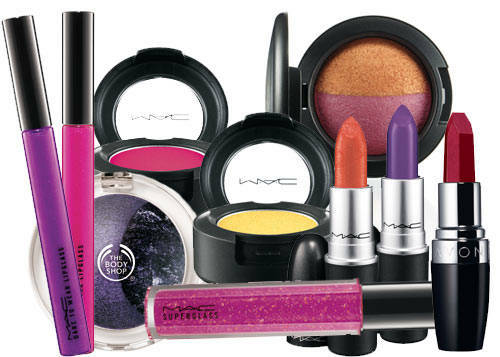 Check out our daring makeup picks by clicking through our Beauty Picks Gallery!